First used in 1939, the term white collar crime is attributed to sociologist Edwin Sutherland. He later refined this term by defining it “approximately as a crime committed by a person of respectability and high social status in the course of his occupation.” White collar crimes are generally regarded as those crimes committed in a commercial setting for the purpose of financial gain. Not only can individuals be charged with these types of crimes, but corporations may also be sanctioned for these offenses as well. Individuals or organizations facing criminal violations of the law such as these would benefit from the legal representation of an experienced white collar crime attorney. White collar crime may be categorized by the type of offense, type of offender, or organizational culture. Types of white collar offenses include property crimes, economic crimes, and corporate crimes. Social class, position of trust, and academic qualifications are often used to identify the type of offender involved in a white collar crime. In some circumstances, organizational culture is used to classify white collar crimes rather than offender type. Defining white collar offenses by organizational culture places these crimes in one of two categories: occupational crimes or organizational crimes. Occupational crimes are typically committed in an effort to promote one's personal interests, while organizational crimes are committed by corporate executives for the benefit of the company. Have you been charged with a White Collar Crime?, Contact a Criminal Defense Lawyer Today ! 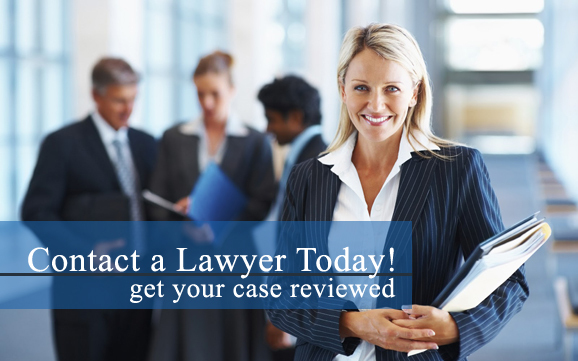 Get professional help, consult with a local experienced White Collar Crime Defense Attorney to discuss your case. The sooner, the better. Behaviors and actions that constitute white collar crimes are illegal on both the state and federal level. The Commerce Clause of the U.S. Constitution entrusts the federal government with regulation of white collar crime. Agencies such as the FBI, the Securities and Exchange Commission, as well as U.S. Customs have been tasked with the enforcement of white collar crimes. Whether the alleged offense is a state or federal offense, defendants will benefit from the expert legal counsel of a skilled white collar crime attorney. White collar crime lawyers are specialists in the field of white collar crime, and they can help defendants build defense strategies that can result in satisfactory outcomes. Individuals or corporations charged with a white collar crime need the assistance of seasoned white collar crime attorneys employed by a reputable white collar crime law firm. Because white collar crimes can result in fines, forfeitures, restitution, and imprisonment, it is essential the defendants be represented by talented white collar crime lawyers. Choosing a white collar crime law firm with a proven track record is crucial, and retaining a white collar crime attorney with the necessary experience will be essential to a successful defense. White collar crimes can be very complex, especially at the federal level. Individuals or corporations facing federal white collar criminal charges will benefit from the advice and guidance of white collar crime attorney with experience at the federal level. White collar crime attorneys use negotiation or litigation tactics to reach a plea agreement, have the charged reduced, or have the charges against the defendant dismissed.